UPDATE #1: According to Latvian Public Media Sunday afternoon, Aldis Gobzems has backed down from his dramatic Friday proposal for a non-partisan government of unelected professionals and has instead offered a four-party coalition without Zaļo un Zemnieku savienība (ZZS) that seems designed to placate the Jaunā konservatīvā (JKP) partija that he had blasted just two days ago as attempting to split his KPV LV party apart. Neither JKP nor the other two invited partners (Nacionālā apvienība and Jaunā Vienotība) seemed particularly interested in continuing the current Gobzems-led talks, despite Jaunā Vienotība's Edgars Rinkēvičs apparantly being offered the position of vice-premier. This offer will be discussed at part meetings Monday morning, as well as between Gobzems and the president at Rīga castle. Although her glorious mess of a song was vaguely aimed at politicians in general, it could very well have been referring to the current government formation process that just finished its ninth (!) 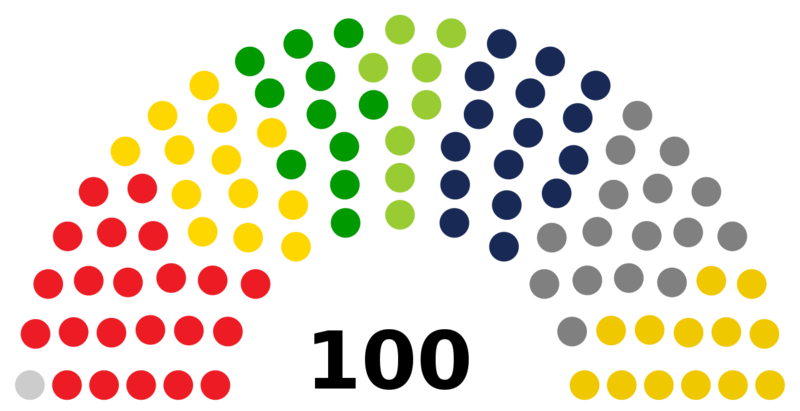 week since the October 6th parliamentary election. Few expected the coalition negotiations to go quickly and smoothly, but no one possibly could have predicted the chaotic path that they have ended up taking. For those of you who haven't paid close attention to Latvian politics over the past few months, we would encourage you to first check out our guide to the election and the parties we posted in September, our guide to the results of the election we posted in early October, and our guide to the prime minister candidates we posted the week after that. For the rest of you, let's take a look just how things unfolded over what might has been the most unpredictable week for Latvian politics in quite some time. For a brief moment earlier this week, it seemed like Aldis Gobzems just might pull a rabbit out of his checkered blazer and actually be able to form a viable government in which Jaunā konservatīvā partija (JKP), Nacionālā apvienība, Jaunā Vienotība, and Zaļo un Zemnieku savienība (ZZS) would join his KPV LV faction for 64 seats in Saeima altogether. Notably absent from this proposed coalition, however, was the center-left Attīstībai/Par! faction. Gobzems had already infamously ruled out the possibility of his party working in a government led by their prime ministerial candidate Artis Pabriks, but it was still a surprise to see them excluded altogether. Even more confusing was Gobzems’ desire for ZZS to partake in the coalition, considering that KPV LV had railed heavily against that party during the campaign due to its connection with influential oligarch and Mayor of Ventspils since 1988 Aivars Lembergs. Additionally, JKP leader Jānis Bordāns had already drawn a “red line” against his party working with ZZS in any way, so this seemed almost like a provocation against Bordāns. Why choose an “old politics” “oligarch party” despised by his own base and his largest potential partner over a newly formed and centrist faction? 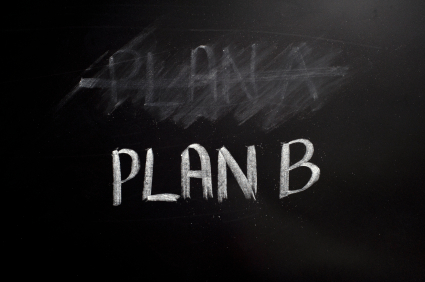 Regardless, the plan was so crazy that it almost seemed like it was going to work. Despite the aforementioned issues with the proposal as well as his disbarment the week before and his unclear status regarding receiving a security clearance, the parties he had invited to join together in a coalition indicated a remarkable willingness to take it seriously. Even Bordāns showed signs of softening his stance against ZZS, spending his Wednesday morning dodging Latvijas Radio 1 host Māra Jansone’s persistent questions about a possible retreat from his principles more impressively than Neo dodged bullets in the first “Matrix” film. Gobzems gave the conservatives until Saturday evening to either agree to or reject the plan, and considering that he was offering them four ministries (the most of all the parties included), it seemed as if they just might take the deal. The wheels began falling off suddenly and swiftly. 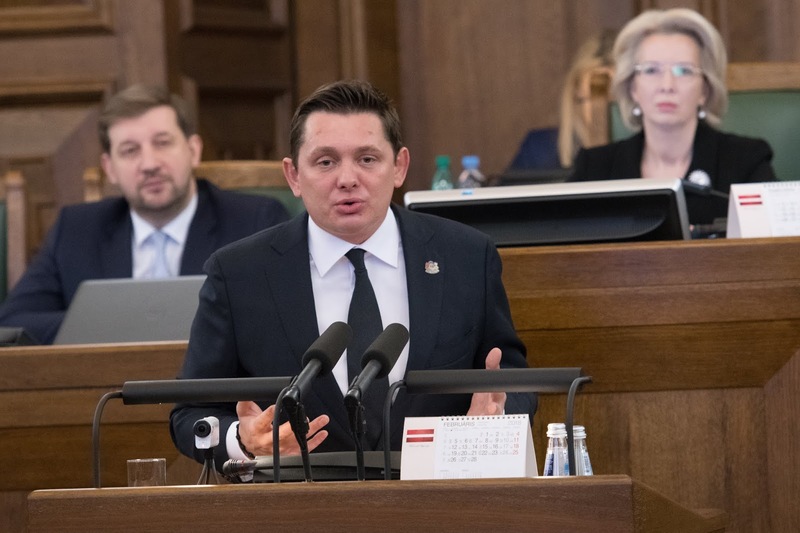 Just a day later, KPV LV chairman Artuss Kaimiņš made the shock announcement Thursday afternoon that he did not support the possibility of ZZS sitting in the next government. Although he stated that it was only his personal opinion, he also pointed out that the proposal would have to go to a party vote and that he saw no problem with a four-party coalition with ZZS excluded. Even though he rejected the idea that there was a split growing within the party and that each member was entitled to their own opinions, it became immediately obvious to possible coalition partners that not even KPV LV itself were united regarding the proposed government. The writing had quickly appeared on the wall — not only was it incredibly unlikely that the Gobzems' plan would pass by the December 10th deadline, it looked like it might not even be supported by his own party members. Instead of compromising and trying to find a way to build a government with ZZS excluded, Gobzems took a page out of President Vējonis' book and hinted that he would announce his own "Plan B" the next morning if a Friday meeting between the potential partners proved to be unfruitful. Nothing that had happened to this point throughout the most chaotic coalition talks in modern Latvian history could have prepared anyone for what was about to come next. In a move unprecedented in modern Latvian history, Gobzems announced late Friday morning that his compromise politics had failed and that he therefore proposed a "coalition with the people" consisting of unelected industry professionals who would be "the best of the best" at what they did. According to Gobzems, these unnamed candidates had already been contacted months in advance, and this had been has backup plan for some time already. He also re-committed to a campaign proposal to reduce the amount of ministries from the current 13 to just six, a plan that he had backed away from in an interview with ir magazine published just a day before. For the icing on the cake, he said that he would ask the president to call for early elections in the event that Saeima refused to accept his plan. On the surface, this proposal isn't quite as radical as some people have made it out to be. Plenty of countries include unelected professionals in their cabinets, especially the United States. Even Latvia has had a number of them in the past decade, including independent Minister for Health Anda Čakša (who later joined ZZS), Ministers for Education and Science Roberts Ķīlis and Mārīte Seile, Ministers for Transport Anrijs Matīss and Aivis Ronis, and Minister for Culture Dace Melbārde (who later joined Nacionālā apvienība). The radical part is making the entire cabinet consist of these types of choices — since the election of the 5th Saeima in 1993 there haven't been more than a handful of independent ministers at any given time. In terms of the plan's potential effectiveness in reducing corruption and the influence of special interests, other countries throughout the world have had mixed results with this sort of model. In Latvia, the highly regarded non-partisan businessman Andris Šķēle was made prime minister when a similar situation arose in 1995, the first step on his path to becoming one of the country's most infamous and influential oligarchs. To the surprise of absolutely no one, JKP and Jaunā Vienotība announced within an hour of Gobzems' press conference that they no longer saw the possibility for Gobzems-led talks to continue, and Nacionālā apvienība chairman Raivis Dzintars opined that Gobzems' ability to be prime minister had been exhausted. Jaunā Vienotība nominee Krišjānis Kariņš went so far as saying that his party feared that KPV LV was doing everything possible to put the traditionally Kremlin-friendly Saskaņa faction into power, and doubted that Gobzems had even the support of his own party. Attīstībai/Par! leader Jūris Pūce, who had been excluded from the Gobzems-led talks, blasted the proposal as oligarch Ainars Šlesers' plan and called on the president to "put an end to the farce" and asked "would not it be time for a man who gave the grenade to a monkey to take away the grenade." Even JKP, who had up until this point ostensibly been KPV LV's closest ally, piled on. Saeima deputy Juta Striķe called Gobzems "an egg laid by the oligarchs," and agreed with Kariņš that this model was likely a plan by Ainars Šlesers to increase the influence of Saskaņa. Although ZZS leader Armands Kruze didn't dismiss the idea out of hand and instead said that his party would evaluate the proposal once it was officially presented on Monday, Artuss Kaimiņš stepped in once again and made the shocking revelation that not only did he not support the model, but that Gobzems hadn't even discussed it with anyone in the party and that Kaimiņš had found out about it through the media like everyone else. A bit later, the TVNET news portal announced that a source within KPV LV had passed them information that the party was considering kicking out Kaimiņš for his media appearances over the last two days, a rumor which Gobzems vehemently denied. However, despite Kaimiņš' call to party members to not support Gobzems' government proposal, it seems that other KPV LV party members are standing by their nominee and that a split in the faction could be a real possibility as early as next week. This wouldn't be the first time Kaimiņš has made such as move, as KPV LV itself was founded when he left the Latvijas reģionu apvienība party a bit more than two years after getting elected to parliament with them in 2014. If such a split were to occur, Gobzems has laid the blame on JKP, who he claimed on Friday was actively attempting to make this happen with their talk of Šlesers and Saskaņa. Even if the president shockingly agreed to Gobzems' plan and Saskaņa jumped on board, it would need the support of ZZS as well as his own party. Although ZZS has played coy about the idea so far, any kind of large-scale collaboration with Saskaņa could prove to be the fatal blow to an alliance of some of the country's oldest political factions which has weathered scandal after scandal and still always found a way to come back stronger than before. It's difficult to imagine that they would agree to a proposal that its dedicated base would find so toxic in the favor of short-term political gain when history suggests that all they need to do is lay low for a few years for their fortune to improve. The best case scenario for KPV LV at this point seems to be that they make it through the coming week as an intact political faction, and its doubtful that would be achieved by party founder Kaimiņš capitulating to Gobzems. Attīstībai/Par! leadership has already called on the other parties once again to come together and agree on a prime minister without the help of the president, there's little indication that this would suddenly work after months of deepening stalemate. 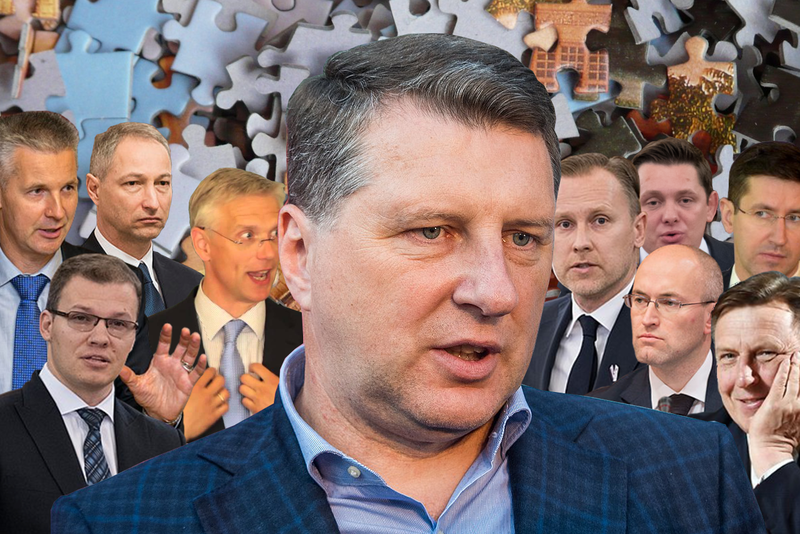 President Vējonis himself will most likely need to choose a third nominee, but its difficult to guess who that might be. Although he has indicated a wish to go through his previously formed short-list of prime ministerial candidates, both JKP and KPV LV have already publicly announced that they would not agree to a government led by Artis Pabriks. While there's no reason to believe that at least one of those parties could go back on that position considering how chaotic this process has been so far, nominating Pabriks could be a waste of time in a saga that has already taken 17.5% of the year and shows no signs of ending anytime soon. Even Attīstībai/Par leadership has said that they will not insist that the president pick Pabriks, opening the way to Mr. Vējonis choosing someone else. Just who would that be? The president has expressed caution against the idea of choosing a completely left field compromise candidate and mentioned in an ir magazine interview a month ago that Jaunā Vienotība and Nacionālā apvienība candidates Krišjānis Kariņš and Roberts Zīle remain on the table. 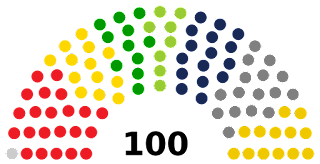 Considering that Zīle might find it difficult to get the full support of his own diverse party which consists of many factions, Kariņš would be the more likely option, especially considering that Jaunā Vienotīna has surprisingly proven to be one of the least controversial factions throughout these talks. While KPV LV would likely find it hard to forgive Kariņš' accusations of ties with Šlesers, he might not even need them as an alliance with JKP, Nacionālā apvienība, and Attīstībai/Par! would give them exactly 50 seats in parliament. That would leave them one vote short of an outright majority, meaning that they would need help from at least one member of the opposition to get nearly anything done Additionally, at least one defection from an opposition party to one of those four certainly wouldn't be unprecedented. Considering all of the red lines that have been drawn from one party to another so far, it just might be the least messy outcome. Of course, it's anyone's guess as to what happens next. TV3 reported Saturday a rumor from Rīga castle that the president was considering Latvian ambassador to Russia Māris Riekstiņš and Latvian State Forests director Roberts Strīpnieks, and long-serving and well-respected Foreign Minister Edgars Rinkevičs has also been floated multiple times as a potential compromise candidate. For the time being, Māris Kučinskis’ lame duck government will continue to sit in place indefinitely as we continue waiting for some sort of clear answer to Linda Leen's poignant question. One could lose one’s mind reading this!